Time to shop for dorm room bedding for your guys? 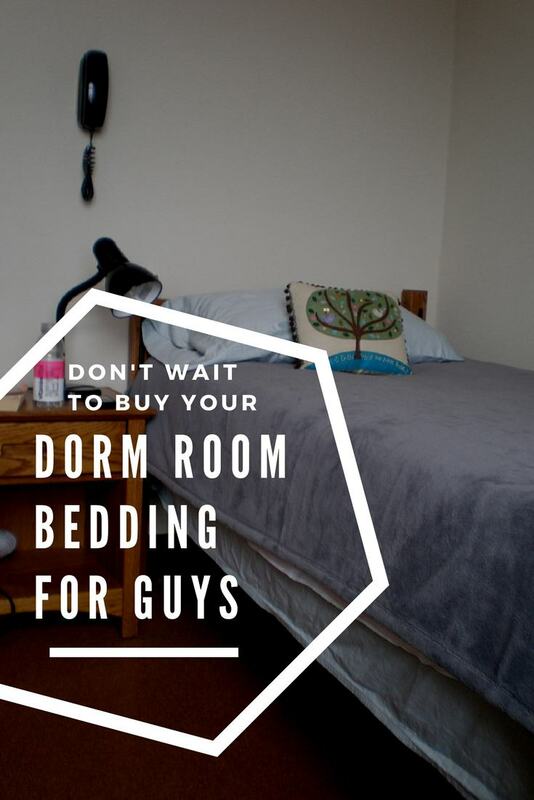 It sure is, and wow do I have a great selection of dorm room bedding guys will actually like and use. College guys away from home want to relax and get comfortable after a long day of classes or classes with sports practice. He’ll want to hit the books in comfort when he needs to cram for those exams! Why not get him some dorm room bedding that will be not only stylish, but comfy and practical, too? Pull up a chair and grab a cupppa joe. 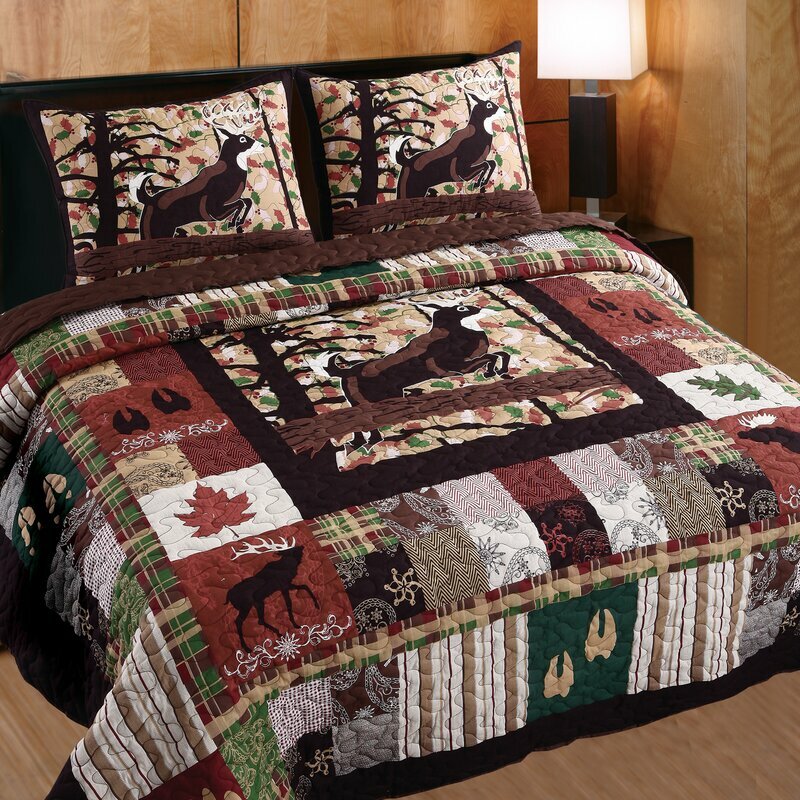 I’m going to show you some great bedding sets for sending your college guy off to school in style. 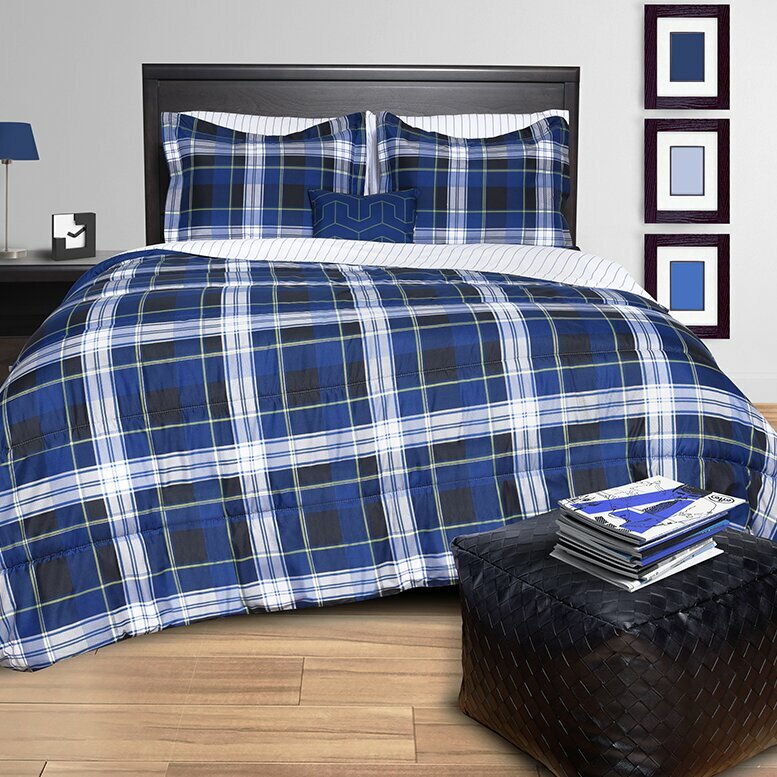 Send your young man off to college in style, and make sure he stays warm and comfortable with this cool dorm room bedding for guys! 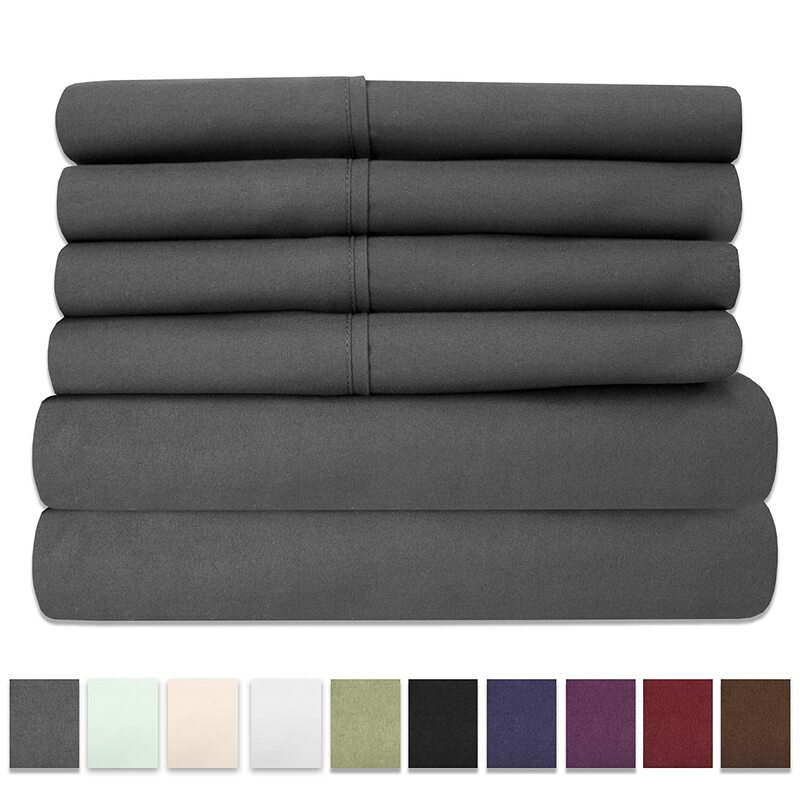 These bedding sets and other bedding essentials are just what any college guy needs to make his dorm bed as comfortable as he wants, without breaking your bank. Pretty nice set right? 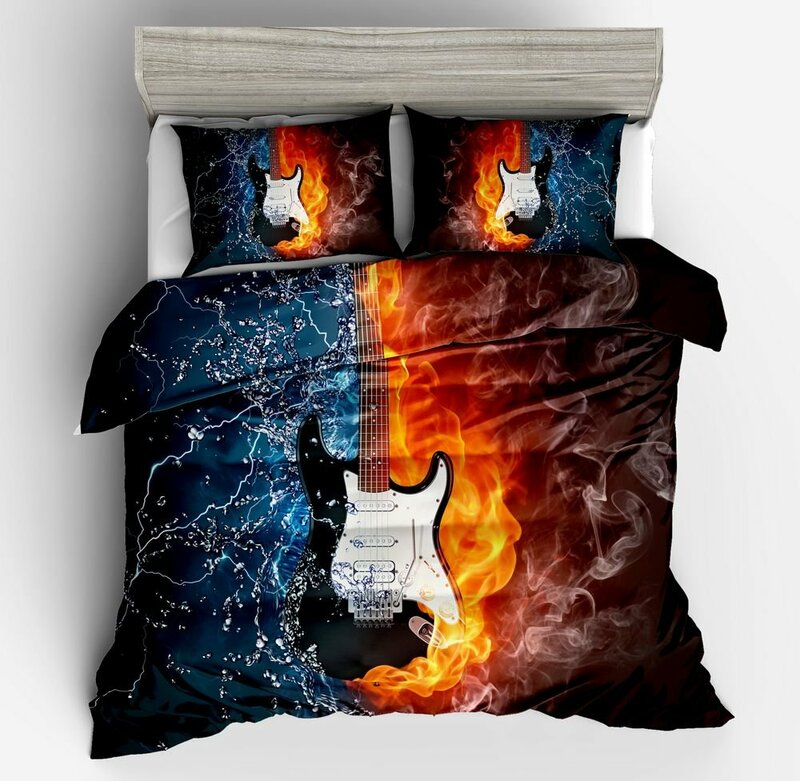 This bedding set comes with everything he needs to get him started. 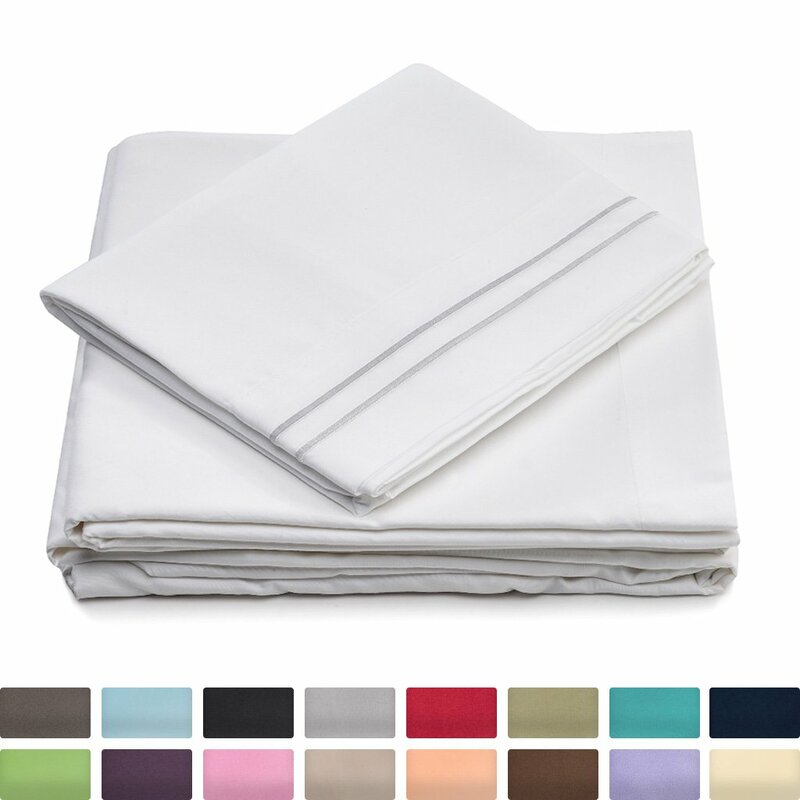 You can always buy extra sheet sets and other accessories as you desire. 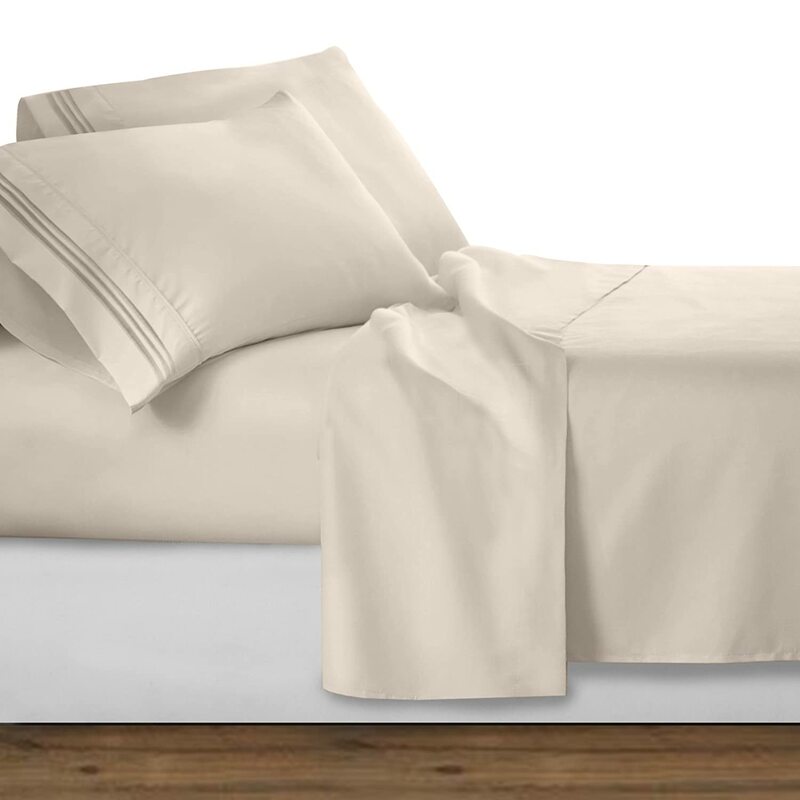 The bedding set includes comforter, fitted and flat sheets, pillowcases and shams and reverses from print to solid. Dress up his bed with throw pillows, and add matching accessories to his dorm, such as area rugs wall decor, etc. Guys who look forward to travelling will enjoy this world map 3 piece set. Even the name is cool ~ Wanderlust. The Set includes: 1 Duvet Cover and 2 Pillow Cases. 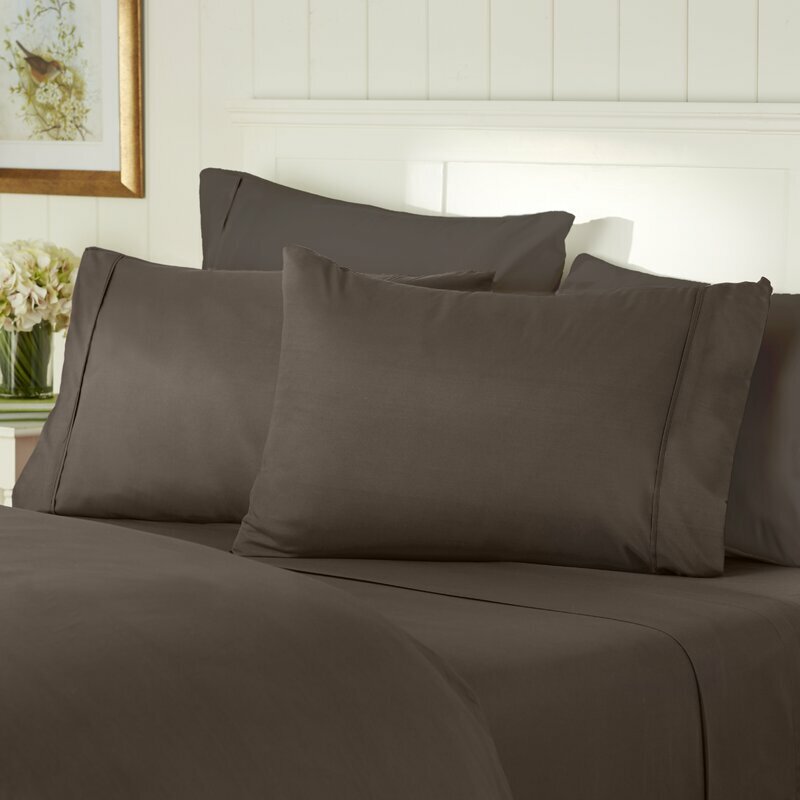 It’s lush 100% brushed microfiber fabric. Super soft for ultimate comfort. What a nice gift for a college bound graduate! 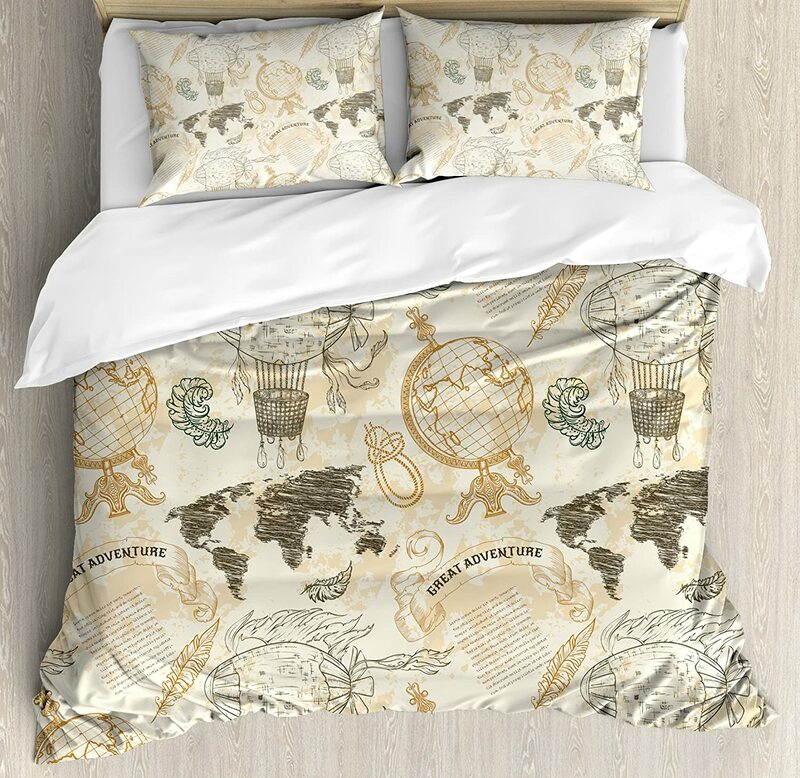 Help your young man decorate with fun and style with this 3 piece duvet cover set featuring a world Map. Don’t you love this navy blue color? I bet your young college man will like it too. The vibrant blue is cheerful but not so loud as to keep him awake. 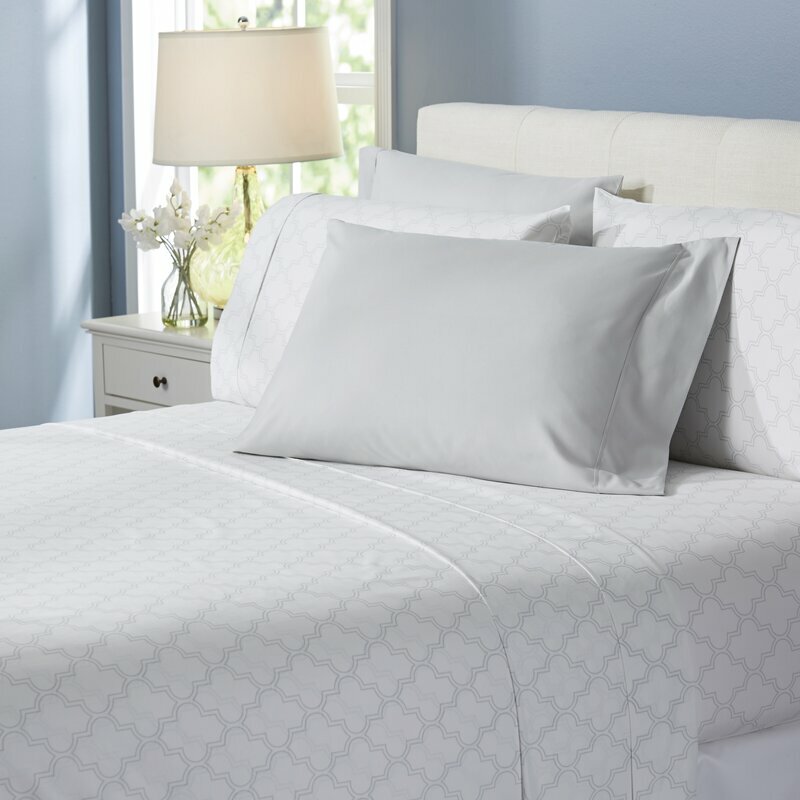 The set pieces complement each other to produce a complete and stylish bedding design. 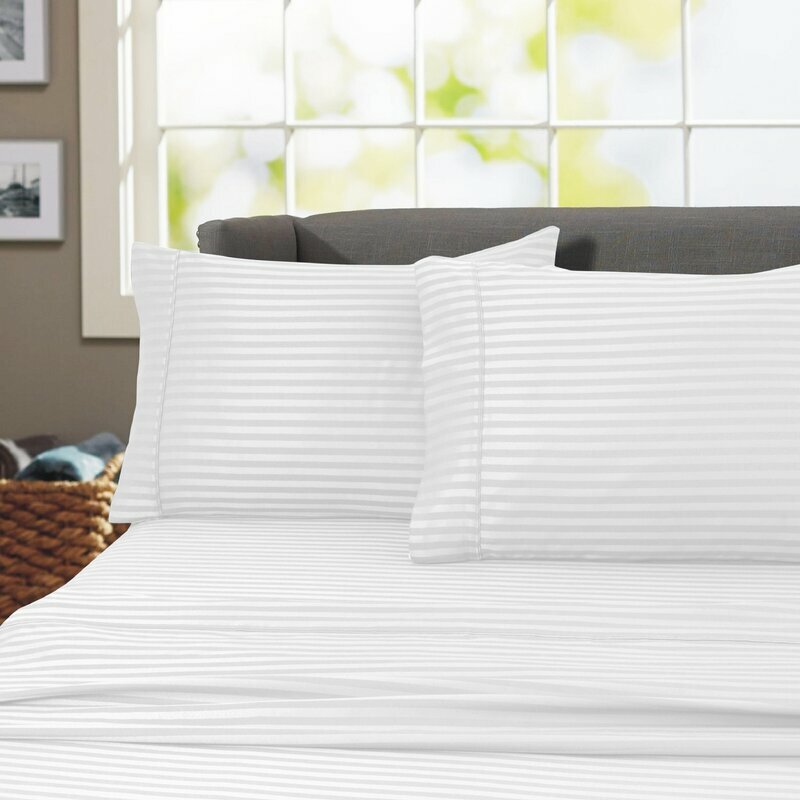 The set has the blue & white stripe comforter. 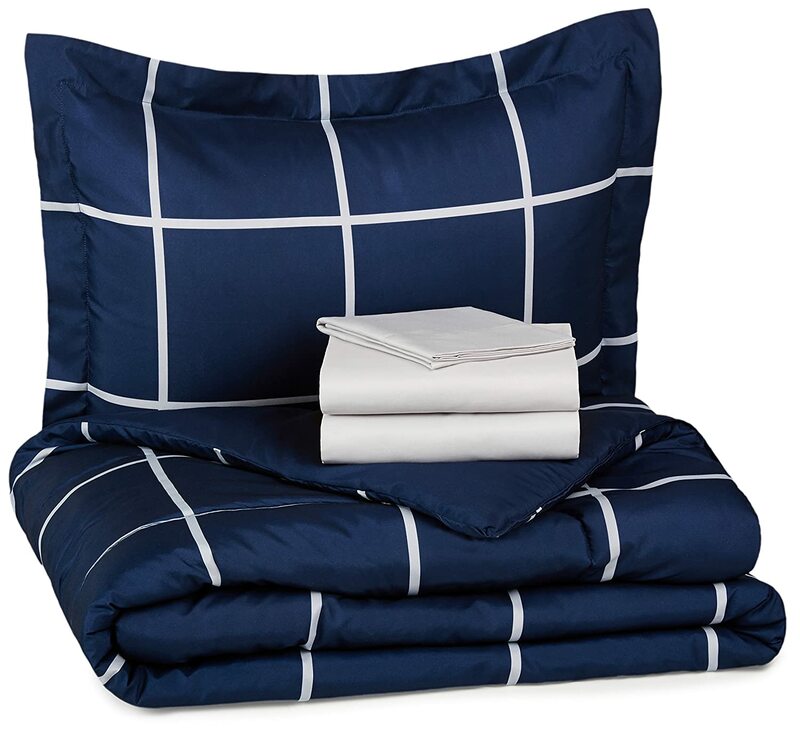 It also comes with a 4 piece blue strip sheet set, a 3 pc navy towel set, a standard pillow and a matching laundry bag. How handy is that! 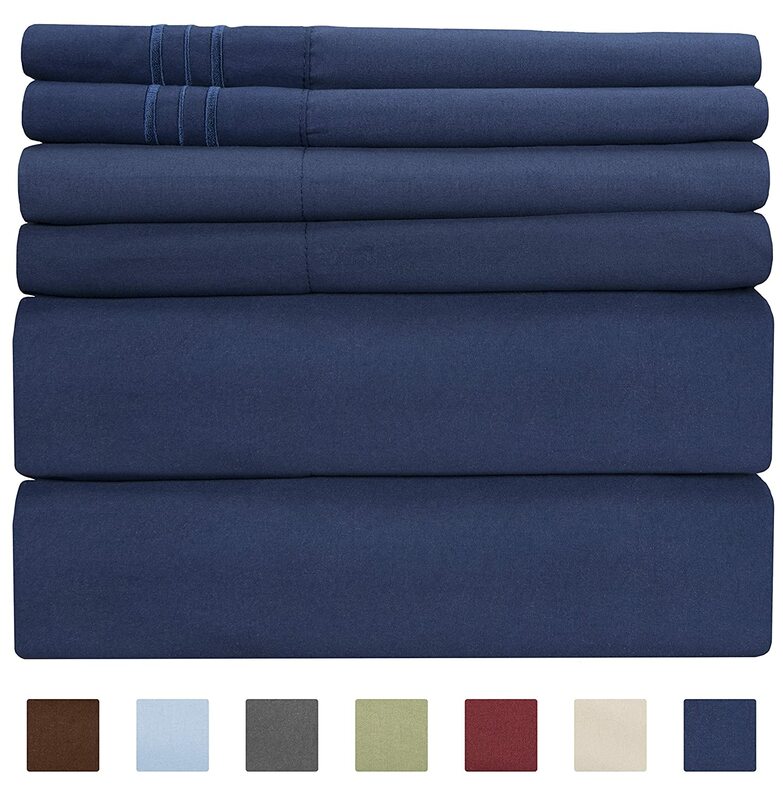 The easy care 100% polyester microfiber machine washable bedding set is soft and comfortable and a really practical gift for any guy headed off to college this Fall. Want to see more dorm room ideas guys would love? Yikes! Can you imagine walking into a bare dorm room and realizing you’re going to live there? Don’t let this happen to your young man. Great bedding choices will form the foundation for a home away from home that he’ll enjoy living in and that will help him study in comfort. 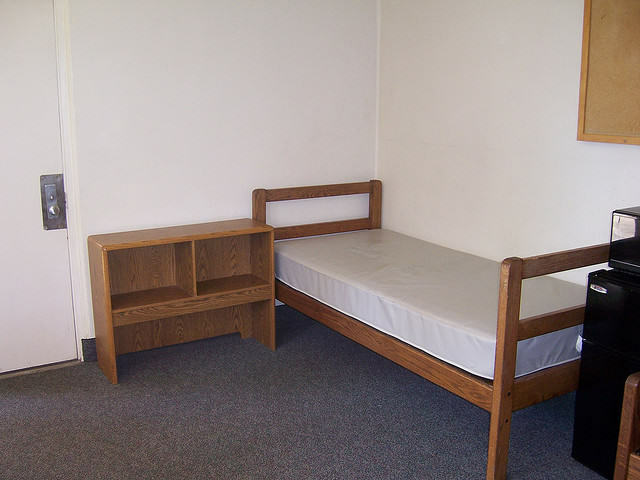 Some dorms have full or queen size beds, others have twin size beds. Make sure as far in advance as possible what size bedding he’ll need! 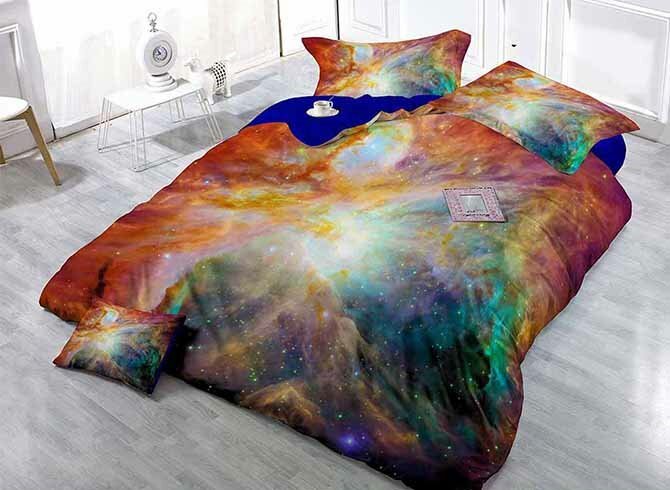 I know it seems like most men don’t care what their bedding or even their bedroom looks like. Especially when we see pictures of the ‘typical’ boys college dorm room. Moms know better though. Moms plan ahead with dorm room ideas that will make their sons’ time away at school more homey and comfortable. 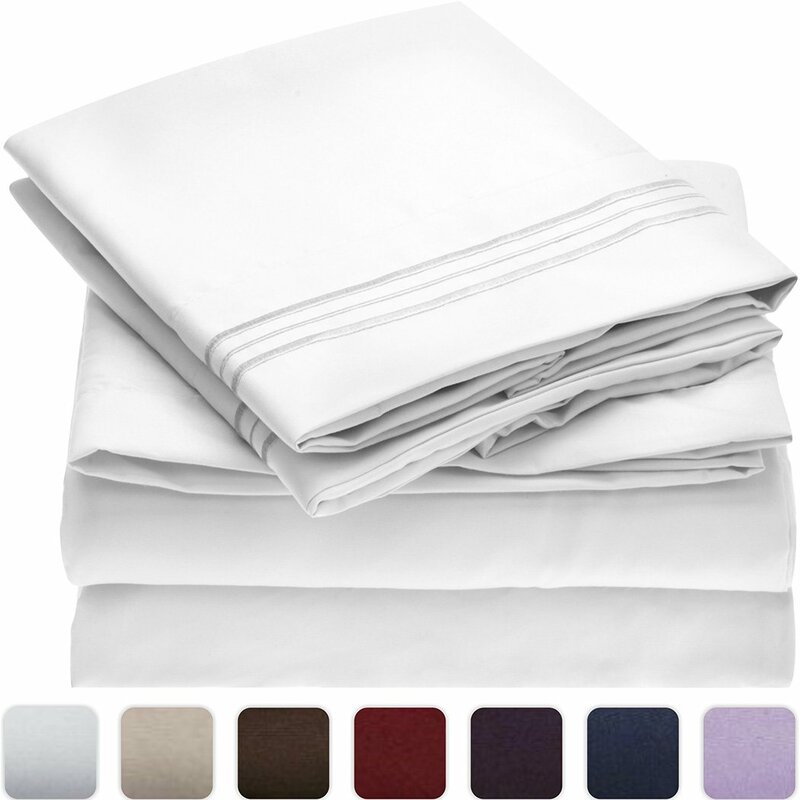 Starting with the basics, dorm room bedding has to be comfortable as well as attractive to help that guy rest well. Does your son have all the dorm room appliances he needs? Here are some more dorm bedding sets for guys that are sure to be a hit with your college bound student. Whether he prefers plaid, stripes, or some other print, there is something here he’s sure to love. Dorm bedding doesn’t have to be bland or boring. Shake things up a bit, and open the door for great conversations, when you incorporate this cool dorm bedding into your college dorm room! 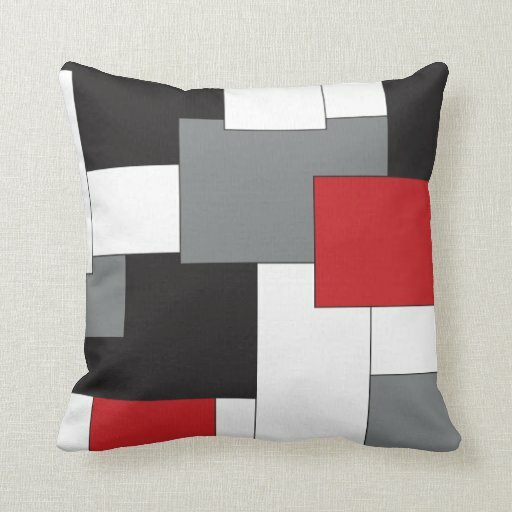 Throw pillows make great accessories to go with a bedding set, and college guys will enjoy these designs in their dorm room. 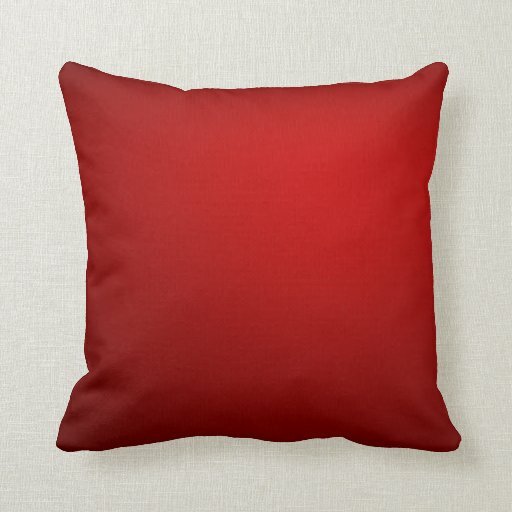 Guys can never have enough pillows, so go ahead and load him up with a few to keep him comfy when he’s studying or watching TV. Toss several around his dorm room for laying on the floor, for extra comfort in his desk chair and on his bed to use as he pleases. 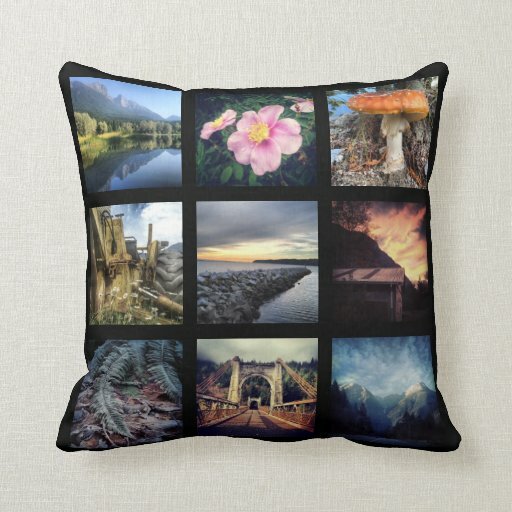 Get pillows in prints of subjects he enjoys, like sports or surfing or music and they’ll be just that much more appreciated. Don’t Forget These Must Have College Dorm Essentials! 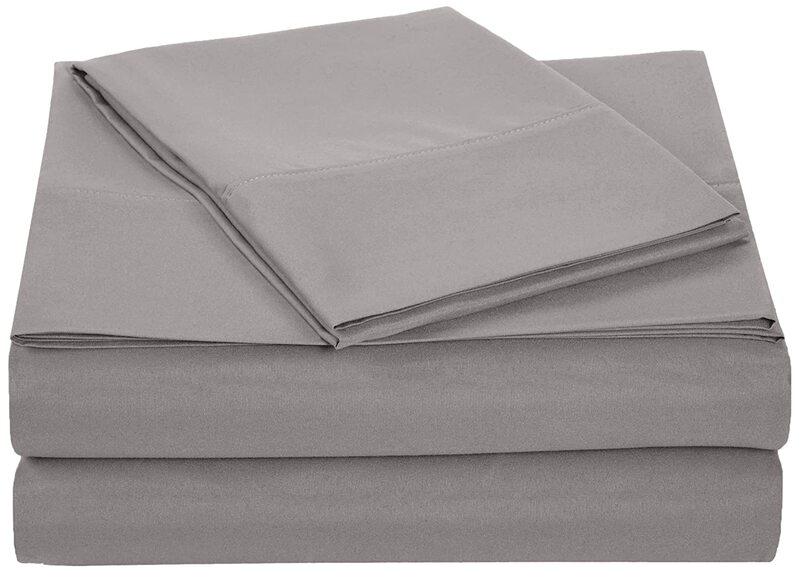 Dorm room bedding for guys should always include extra sheet sets. This is especially true if he has to take things home to wash. So make sure he has plenty of clean sheet sets when you send him off to college! 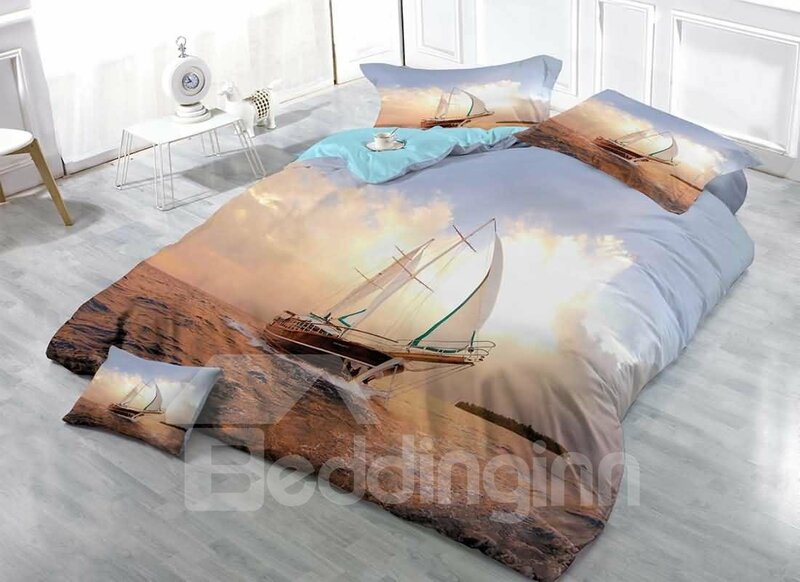 Don’t forget to check eBay for great deals on dorm room bedding for guys. You’ll be amazed by the selection and the prices. 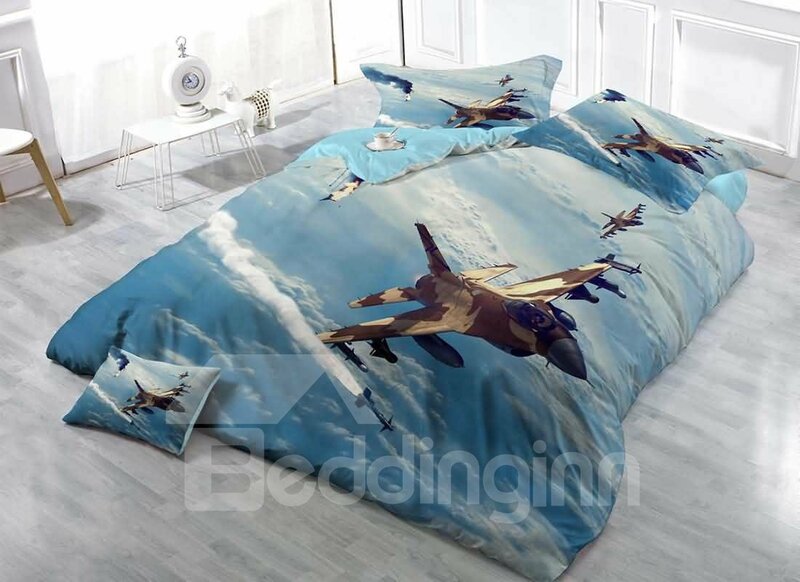 Just take a look at the dorm room bedding for guys that I found for sale on eBay.